Kilcock Intermediate footballer David Duke was awarded player of the year at the the club’s annual Christmas party and awards night at Kilcock Gaa on Saturday night. Duke had an impressive year at wing-forward where he chipped in with some really important scores and put in a serious amount of work every game as his side reached the championship final before losing out to Raheens. 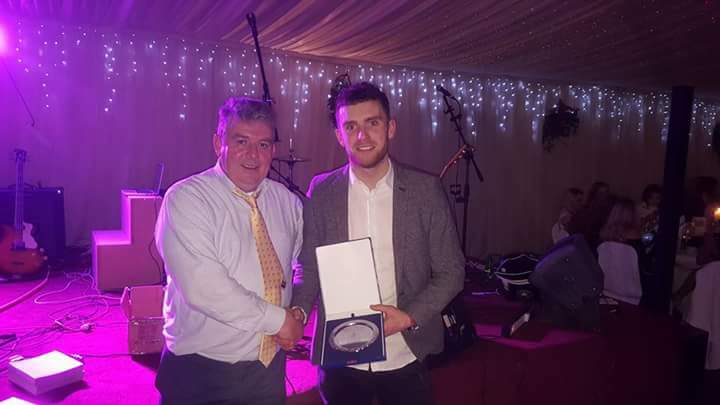 Tom Geraghty was crowned hurler of the year by his teammates after an impressive year with the junior side. Lorna Murray was awarded Camogie player of the year after captaining Ciaran Heneghan’s team to Kildare Junior Camogie Championship glory with a victory over Clane. Sheena Byrne was awarded Ladies Player of the year after a super year with the women’s team. She drove her team on and they were unlucky to be beaten in the county Semi-Final against Carbury, where 2 late goals from Byrne weren’t enough to poach victory from their old foes.